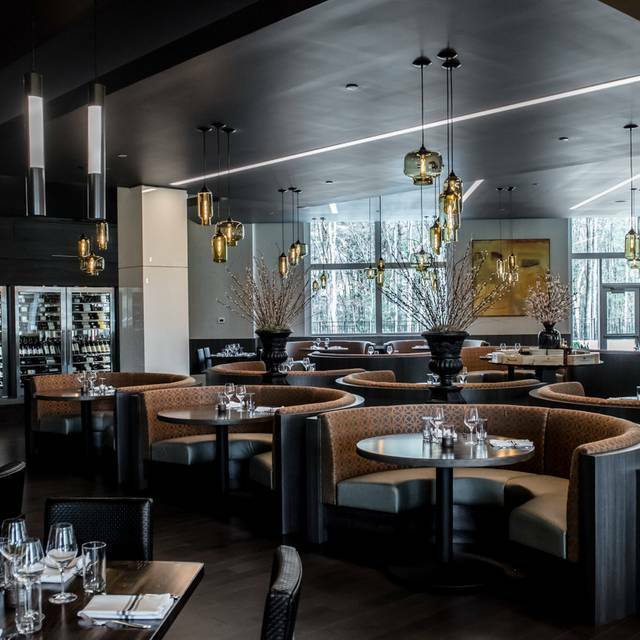 Renowned chef, author and restaurateur Scott Conant introduces an Italian-inspired steakhouse, Cellaio, nestled in the picturesque Catskill Mountains. 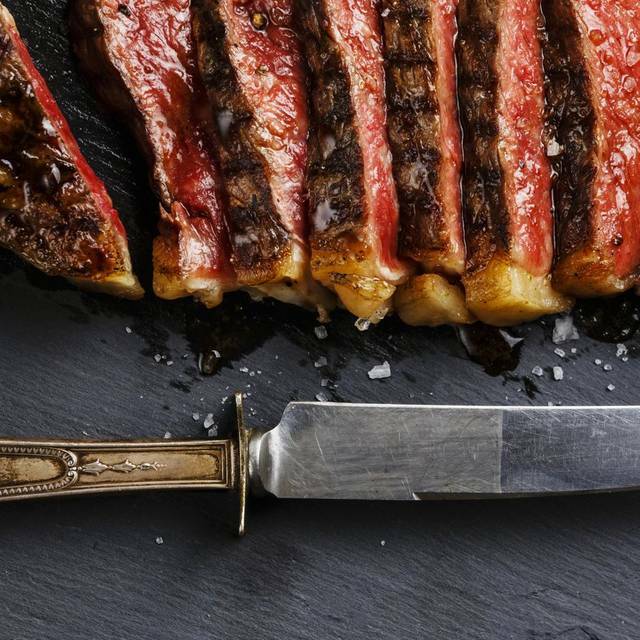 A play on the Italian term for a butcher’s pantry, Cellaio offers Conant’s take on the traditional steakhouse, complementing aged steaks with the antipasti, market salads and house made pastas that have become synonymous with his cooking. A relaxed bar and lounge greets guests upon arrival and leads to a spacious dining room featuring roomy crescent-shaped booths, communal seating and an interactive decanting station. For private events, a pair of intimate dining rooms reveal incomparable views of the surrounding mountains. 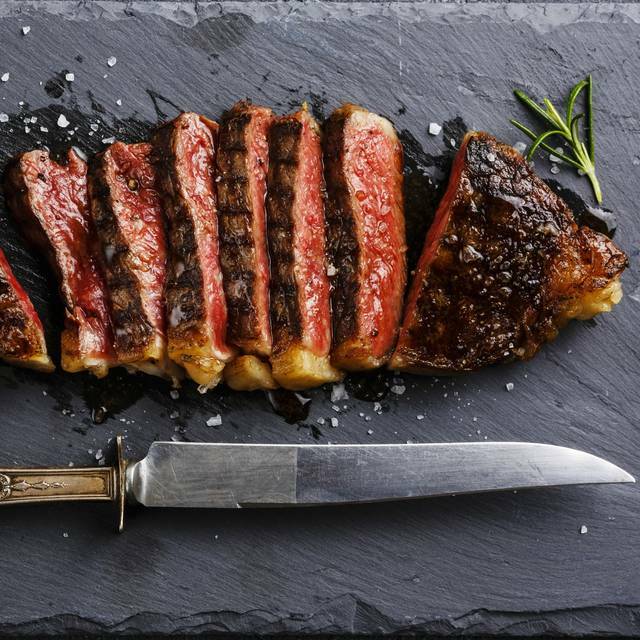 Whether it’s to celebrate a big win or for a weeknight dinner with friends, Cellaio Steak is a destination dining experience for upstate New York built on generous hospitality. Server was prompt. Scallops were delicious. Great bday dinner! Drink and food menu very masculine. Our server, Tyler was great. He was very attentive. Seth came over to our table to make sure we were satisfied. Looking forward to returning for another awesome meal. Our meal was divine! Our server suggested that we share the pasta, and she was on point with that because it was certainly enough for two! She also explained the gnudi which was good because after her explanation, I knew that I wouldn't enjoy it. This is a wonderful restaurant, and we will return! Set in the beautiful Resorts World Catskills, Cellaio has a wide variety of appetizers and main courses to choose from. We had the New York Strip steak and the veal chop, both were excellent as were the potato sides. The service was superb and we total enjoyed our dinner. The meal was costly - about $70 a person with no drinks, appetizers or desserts. Reception desk was impersonal . Waiter is knowledgeable but always felt he was in a rush. Listened carefully to my food allergies. Food was very good. However waiting one hour before we were served anything is a problem when you have an 8:00 reservation and you’re not given anything to eat on your table. Even the finest restaurants have some type of bread or fresh breadsticks and some sort of prepared dip. Our first visit to Cellaio's was wonderful. Love the layout of the tables and booths. Presentation was excellent. Our waiter, Robert, added so much to the experience. Looking forward to going back. Asked to be taken there by my family for a milestone birthday. It was great. The food was outstanding as well as the service and ambience. We had steaks, of course, and they were perfect. The baked potato, filled with all the goodies, was the best and biggest we've ever seen! We're still laughing about it. It was a memorable evening I'll remember for a long time. We will definitely be going back. It's a bit pricey, but worth it. Nice ambiance. Server had a great personality, eas diligent although lacking in initiative and common sense. Exames include taking silverware and not replenishing, folding one of our guests napkins when she stepped away to use the ladies room. Music selections were appropriate for dining, volume was too loud. Waitress who served my boyfriend's dessert appeared inconvenienced as she placed his gelato in front of him, mumbled happy birthday and walked away. Food was amazing. W had a great time eating at your place. The food was great. Everyone was friendly and professional. We did not had to wait long for the food which was delicious. Saturdays are very busy and even with reservation wait is long but worth it. If you can go during the week the service is outstanding. Service left a lot to be desired. Nice enough people but they are still developing. The food was good. The menu needs to be less limited. The chairs at the table slid on the tile floor and made it difficult to be comfortable. We were deciding on dessert when another server came to our table and asked for the menus saying they ran out. The place was full but I think you should have extra menus on hand. 230.00 with one bottle of wine and no drinks was a bit steep. I can see this place slipping already. Too much confusion. The food was great service was awesome a little pricey because everything is À la cart. There should be a little more lighting it was just way to dark. Food was amazing steak was cooked to perfection. Our waitress was fantastic she was very knowledgeable about the food. She also recommended a martini which was also very good. Overall our experience was excellent we will definitely be coming back! The drinks service and food were all top notch! By far the best restaurant in Resorts World Catskills. Had a family dinner here on Friday. The food was very good. Our party had steak, scallops and salmon entrees, we had spinach, Brussels sprouts, carrots and potato purée as sides and no one was disappointed. 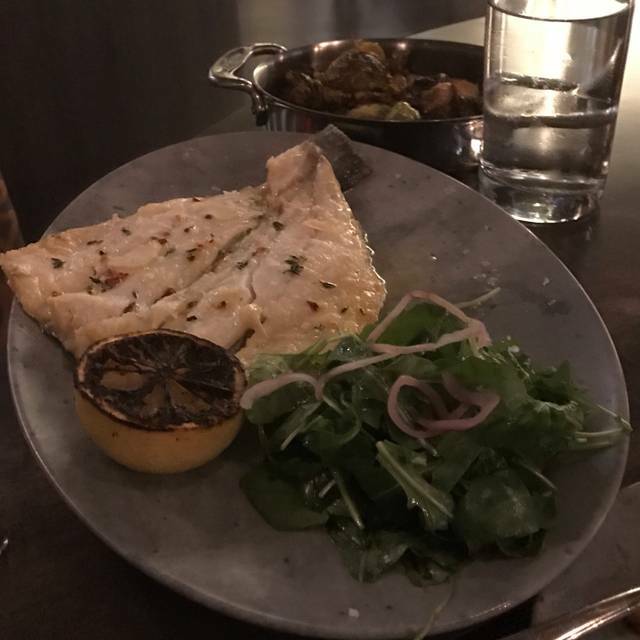 I am not a fan of lemon so the salad on the plate with the scallops was the only thing I did not enjoy since it seemed that was the only thing on it. Overall it was enjoyable. The restaurant has nice ambiance although because it was busy it was slightly loud. We enjoyed and loved the ambiance and relaxed feel of this restaurant. 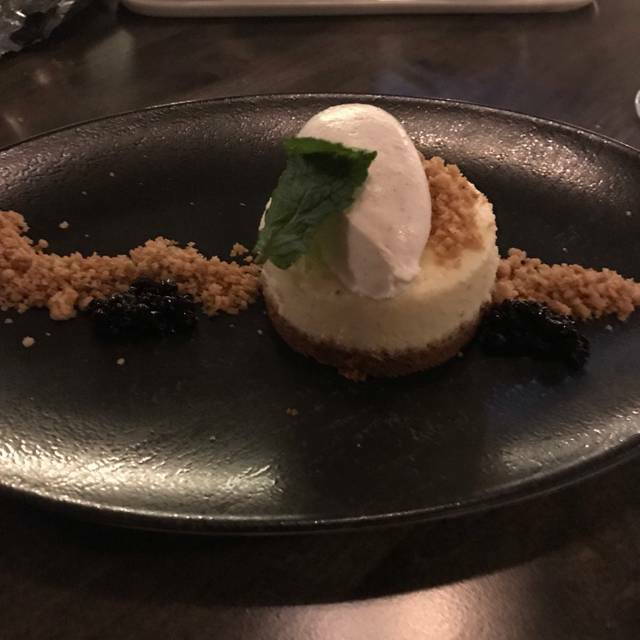 Everything we ordered was delicious from the butternut squash soup, beet salad, baked potatoes (which are large in size and taste), NY Strip Steak, Seared Diver Scallops (just perfect, NOT gumming), and finished off with desserts of Mascarpone Cheesecake and the refreshing Honey Amaretto Gelato! 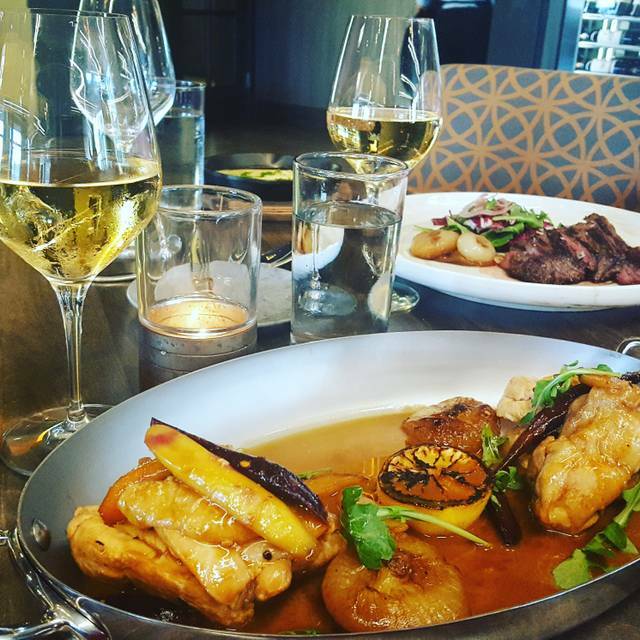 Service was well-timed and friendly, we are looking forward to returning and tasting other dishes. I had an amazing dinner, great attentive staff. Octopus appetizer outstanding, Polenta appetizer was mouth watering and a very large portion. Skirt Steak cooked to perfection. Can't wait to have dinner there again in the near future. 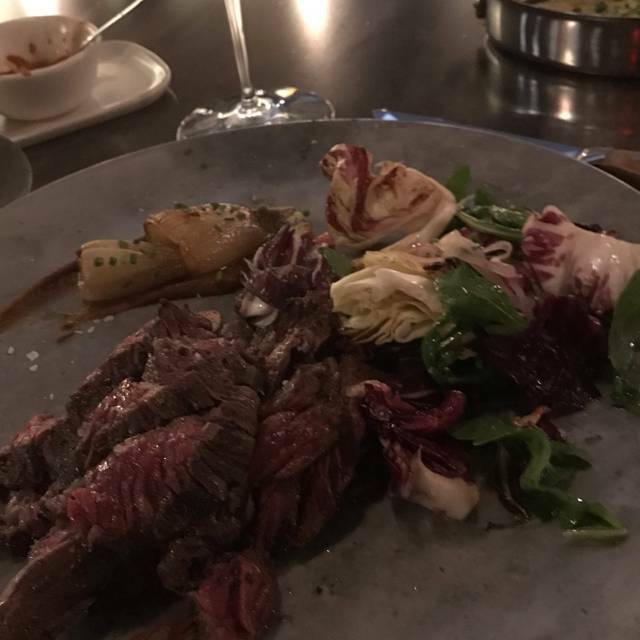 The only drawback for me was to pay $8.00 for carmelized onions and my husband had a gourmet cheese added to his steak another $8.00 (I thought for the very small portion it was overpriced). The sides too were just a bit pricey. This restaurant exceeded my expectations. The entire experience from food to service to atmosphere was phenomenal. I would highly recommend this restaurant. From appetizers to main course and sides our experience was outstanding! We were a party of 4 and decided to get a few different things to try. Each one was as good as the other. The staff made us feel welcomed and catered to our requests. Every visit the same. Food, service, atmosphere consistently great. Tim was our waiter, and he was very kind and very attentive. Steak was done perfectly. Second time we dined here and again delicious! Would recommend and we'll be back the next time we're in the neighborhood! 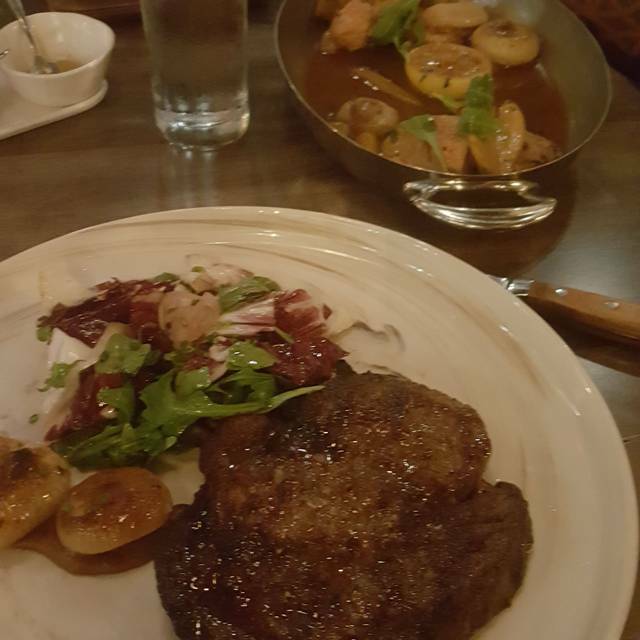 The food was outstanding, had rib eye steak, which was delicious and cooked perfectly along with the beet salad which was great. The problem was with the service. Server did not ask if we wanted cocktails and then she took our order including wine and served the appetizer before she bought the wine. Had to flag her down to actually get the wine. Another server brought two salads we didn't order to the table and argued with us when we said we didn't order them (they turned out to be for the table next to us). Our server never asked us if we wanted another glass of wine. We had to ask the server for steak knifes as they were never brought to the table. Upon receiving the check the server never smiled, said thank you or anything. This is a pricey restaurant and again the food was outstanding but he service was terrible. Took my wife and Mother-in-law out for my wife's birthday. Our reservations were for 6:00pm. The atmosphere is very cool. Love the dark wood-like color. The servers were all extremely nice, cool, and kinda edgy, which I really appreciated. Best steak ever! Wife and I had the porterhouse for two. Mother-in-law had the NY Strip (I believe) plus we also ordered the scallops. Best dinner. Great time. The almost made ,e forgot the money I just lost in the casino. Now, on an embarrassing note. did not add my tip up properly and forgot to sign the receipt. I received a phone call shortly after. They were very understanding. I rushed back and corrected my mistake, and you know what, I will definitely be here again. Excellent. Would definitely dine here again. Reservation was for 7:30, we stopped gambling to arrive 10 minutes early for a pre-meal drink. Upon checking-in, we were told to wait in the seating area and we would be seated momentarily. The seating area was full and so was the bar so we ordered drinks from the bartender and had them at the standing area adjacent to the bar. Other reservations arrived and were seated immediately. We weren't seated until 7:50 - 20 minutes after our reservation and 30 minutes after we arrived. Although our server was friendly, he seemed to have gotten over seated and became less attentive to our table. 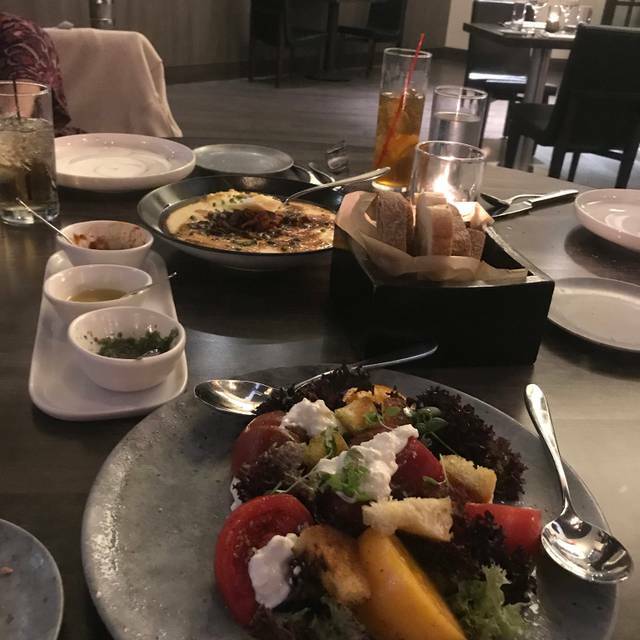 Once our first course was severed, we realized both dishes would be complimented with a side of focaccia so placed an order with our server, once we got his attention. A short while later he came back to the table to check back with us but still no focaccia and said he would check on it for us. While he was checking on it, surprisingly, a runner delivered our next course prematurely, since we had barely touched our first course while waiting on the focaccia. She offered to keep our food under the heat in the kitchen but we were afraid that by the time we received the focaccia and finished our first course our steak would have been over cooked so we asked that she please just leave at the table as well as not to clear our first course or bread dipping sauces either. This restaurant has excellent food. We had the same waiter we had a month ago or maybe longer than that and I failed to get his name but he is an excellent waiter. Resort world needs more good restaurants. The rib eye steak that I had was one of the best I have ever had. My husband is a scallops lover and he said his dinner was excellent also. We will definitely be going there again in a few months. It’s a little pricey but at least the food is excellent. .
Food was excellent, I had the filet on the bone, it was absolutely the best piece of steak I've ever eaten. The best part of my dining experience was meeting Scott when he was at the restaurant a couple of weeks ago. I will continue to dine at this restaurant when I come to Resorts World. Seth the manager is the best! Always way more than pleasant and accommodating. The food is beyond delicious and the wait staff is also the best. Thank everyone there for about my 11th time there... soon to be 12th! I went to Cellaio for my 14th anniversary with my husband. The ambiance was perfect and our waiter Tyler was great. My husband had the polenta and salmon. His food was amazing. I had the asparagus soup and skirt steak with potato puree. The soup was good and the steak was perfect but I was not a can of the potato puree. He had the butterscotch budino for desert and I had the cheesecake. They were both a great end to the meal. A great steakhouse, the Ribeye is excellent. They are however lacking in things like salads and everything is ala carte.